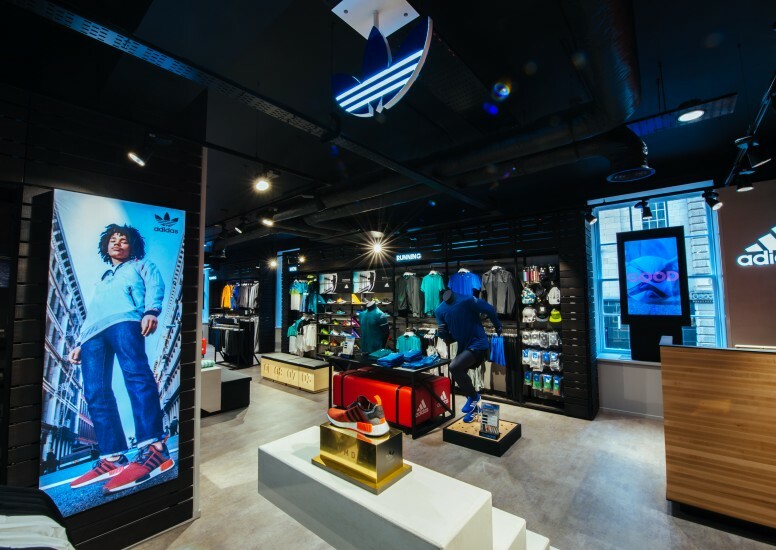 Following on from a successful house of adidas within Harrods, D4R were invited to take this retail initiative to another key UK location. 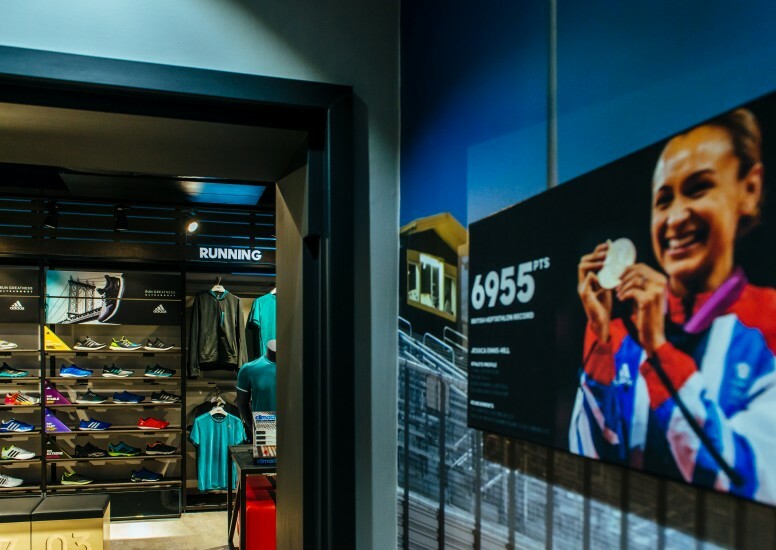 Greaves of Glasgow, Scotland's oldest sports retailer has enjoyed a wonderful relationship with the brand for many years. So them coming together with this iconic global brand was a match made in heaven! 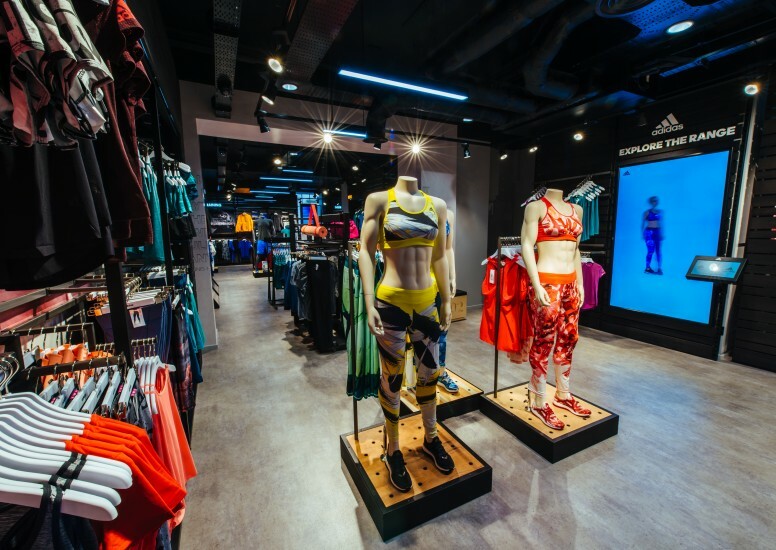 The plans were ambitious from day one where Greaves looked to join the ground and 1st floor via a new feature stair way by utilising the retail unit next door. 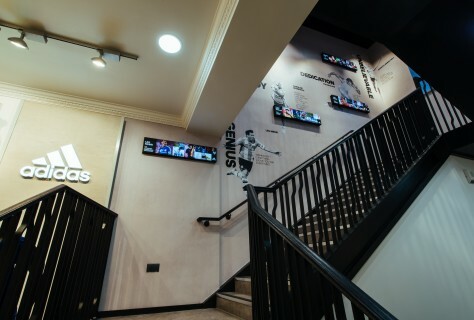 This also meant breaking through into an existing store room to increase the overall floor space to circa 13,000 sq ft.
Every inch of the retail space was removed and painstakingly replaced paying utmost respect to the beautiful heritage building we were working within. This of course brought many challenges from a planning permissions and build point of view as we lifted floors and ceilings to maximise the creative impact. 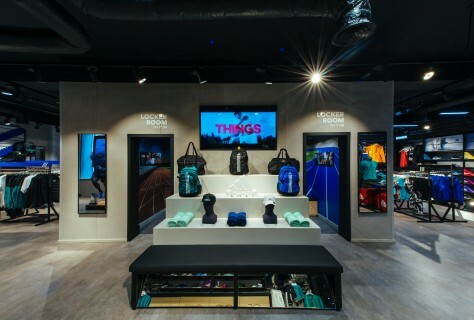 The area boasts a wealth of visual treats consisting of beautiful visual merchandising backed up with powerful brand statements and digital media touches. All this on a back drop of concrete effect floor, retained period ceiling details, exposed services and a dramatic flexible Hacel lighting scheme. 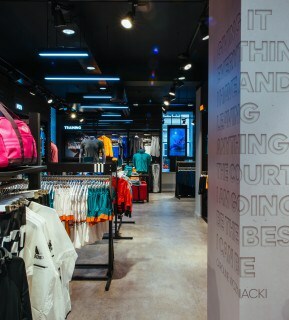 After almost 18 months of planning and an arduous 8 weeks onsite period the store opened on time, in budget to rave reviews from clients, trade and consumers alike. 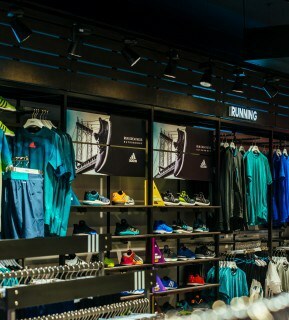 Commenting on the opening, Greaves managing director, Sandy Greaves said: “The new House of Adidas department is an incredible retail space. In terms of the range and experience it provides, this is the best of the best and you’d have to go to the fifth floor of Harrods to see anything like it." We couldn’t be happier or more proud of the results and delighted to say our client was also rather pleased.